Alfresco Content Services provides open, flexible, highly scalable Enterprise Content Management (ECM) capabilities. Content is accessible wherever and however you work and easily integrates with your other business applications. When Alfresco Content Services is combined with the platform’s extensive process services, your content really works for you—and business really flows. Adding context to your content supports better decision making, improves productivity, enhances information governance and makes collaborating inside and outside your organization easier and more secure than ever. Work for Alfresco Content Services? "Excellent document repository solution, but a heavy lift"
It's very extensible and capable, but it's a mighty ship. It requires a knowledgeable team to maintain and build upon. It's very powerful and robust, especially it's permission schemes and flexibility. Our version is not mobile friendly, and it would be good if it had the ability to embed some content on a website. In a time when many apps are turning to a simpler, self-serve model for IT, Alfresco still has UX quirks that require training and maintenance to wrangle. For instance, it's possible to replace a PDF with a PowerPoint and effectively break the link to the document, without warning the used they are replacing one file type with another. Content repository, permissions and content delivery. It has given our users to manage more of the content on their own. "Enterprise-level software: Great for managing company documents"
Alfresco organizes your documents in a systematic way. It also allows you to keep track of all documents' versions and know the movement of documents. As long as you have internet access, you can access documents saved in your Alfresco system. You can also collaborate on them remotely. Since its also based on Open Source, you can easily integrate Alfresco with other systems and extend its capabilities. Interface could be more user friendly. They've already revamped it some months or almost a year back, but the interface can still feel a bit intimidating. Perhaps they could also improve the collaboration functionalities. There are plenty of enterprise content management systems out there, but if you want to take advantage brought through using Open Source technology, then Alfresco is for you. Since Alfresco is designed with enterprise processes in mind, expect that its capabilities will also be for enterprise level. Its a very big step up from Google Drive 's content management capabilities so you should adopt Alfresco with the knowledge that it may change your document management processes if that's where you're moving from. We needed a way to store our documents that allowed us to access it from anywhere since we had operations across the country and internationally. We needed to be able to see and recover past versions if needed. While it lacks the easy collaborative tools that other content management systems have, we still use Alfresco as our final document storage system. "Alfresco : Community and Enterprise content and document management system "
The Best thing about the Alfresco is maintaining version of each change in documents . We can get the any revision when ever user wants. We are using Alfresco Community Edition 5 in our office for managing and organizing all types of documents. We can able to create sites w.r.t to the department specific in an organization. We have integrated alfresco with Liferay for managing all types of documents. Strongly recommended for Content and document management. Good User interface for managing documents and also able see the preview of any kind of document. "Complexity, difficulty of customization, solution in search of a problem"
If you need a commercial ECM/Document Management system backed by a reasonably stable company, Alfresco is inexpensive compared to its competition, and somewhat more customizable, if you have enough budget to get a team of java developers. The APIs are incoherent. There's the RESTful API, the Surf API, and probably some others. You can't do everything with any of them, and it feels like some parts of the API were built by different people at different times, so when you have to try to cobble together a working application, you have to navigate this byzantine history. Worse, it's buggy, and we spent a lot of effort assuming we were doing something wrong, only to find out it was a known issue. Ultimately, if you really want to customize the product, you need java skills and full time developers, which was out of budget for us. I've followed the company since 2006, and watched them follow buzzword after buzzword (open source, cloud, social, etc), rather than listen to their customers' needs/pan points, or to solve real problems. Their cloud offering is a sort of platypus: not really usable, but it lets them tick off the "cloud" buzzword in their marketing material. Dropbox keeps getting better and better, their API is sane, their compliance level is acceptable to us, and their desktop sync application can't be beat. We will eventually replace our Alfresco back-end with Dropbox. Building a content and document management application for a market/business information services company. "Alfresco - Swiss Army Knife of Content"
My comments are restricted to the commercially supported version of this java based open source enterprise content management ECM platform. Alfresco stands alone as the most versatile and powerful ECM solution available, running circles around dinosaurs Filenet (IBM) and Documentum (where most of the initial brain-trust came from) and exceeding relative newcomer Sharepoint (Microsoft) on most measures other than the "free" part. Sharepoint is free to get started with and very expensive to use and replace once you discover its shortcomings and eventually discover how Microsoft monetizes it...free from MicroSoft? You knew better. On the easy low hanging fruit end, Alfresco can easily integrate with Exchange and replace you P drive, and in so doing instantly enable a full range of document disposition capabilities across a spectrum of content types. You may also choose to leverage Alfresco's UI or build your own, and you may build a solid enterprise search solution (Solr based) for use by employees, partners and customers, while leveraging roles based permission to fine tune access and privileges. Alfresco enables selective use of private and public cloud and offers their own Amazon based cloud solution with impressive security capabilities. While it falls short of a full eDiscovery solution or records management solution, most business cases do not justify the initial or ongoing investment in Autonomy (HP), perhaps the only surviving albeit beleaguered player in that arena? Regarding workflow, Alfresco literally hired the JBoss JBPM business process modeling team to rewrite it as “Activiti”, now in a more suitable license for OEM (LGPLv3). Activiti leverages the BPMN 2.0 standard, and while this all makes sense, I am not sure how much market uptake there has been...I really just don't know. Perhaps another reviewer can shed some light here? We successfully used Activiti to model and implement a multi-department workflow in support of a heavily regulated manufacturing materials change request process. You can do a lot with Alfresco, some of it very easily, and some of it with much effort. The ECM space is a mess, and in general Alfresco has brought more sanity, but this is hard stuff so good luck. Alfresco's licensing discourages use of small "pieces" of its capability (see some of the above examples of projects). I much prefer to use the commercially supported versions of software like this, but the entry point is too high to justify the cost for anything but the more traditional ECM projects. The cloud version is appealing but does not often fit either my client's technical model, or the arcane security governance policies of many large "old school" enterprises we serve. The perspective from which I share is that of an enterprise business analyst and product owner on small, medium, and large projects in government, transportation, manufacturing, financial services and e-commerce. In some projects Alfresco "was" the project, while in others it simply solved one or more of our business requirements and was a small part of larger initiatives. Some projects were designed for 2 or 3 administrators with 10 to 50 users, and were built for a single device which securely served just a few hundred pages of content from the cloud to an app on a secure tablet. Think e-learning, Board Room communications, PKI monitoring, BI, or compliance management. For a global manufacturing company with 27 USA based facilities, we successfully used Activiti to model and implement a multi-department workflow in support of a heavily regulated materials change request process. One financial services project leverages just a small piece of Alfresco capability, image management, but targets 15 million authenticated users in a responsive multi-tenant environment. In one Federal project we ingested over 10 million pages of confidential documents laden with PII, applied taxonomy, and enabled enterprise search as the initial goal. I like the concept of everyone being in one cookie jar to work at once. Get the kinks out first. The university went from using paper files to being digital. This helped initially with record keeping but because not every dept was in this software cookie car, it ultimately didn't pan out for us. Alfresco Community Edition makes it easy to prototype and evaluate the viability of implementing it within an existing business. Being heavily-based on FOSS/frameworks makes it easy to use existing knowledge, which speeds up the time-to-market and makes it easier to attract developers than a closed, proprietary platform. Official support is quick to respond, but the community around Alfresco has created a nice network to leverage if you ever get stuck. There's not a lot I dislike about Alfresco, especially when compared to some of the other offerings out there. It may be a little overly complicated for smaller businesses, but great for mid- to larger-sized businesses. Definitely give it a chance. It's powerful and easily extended to meet your needs. We're trying to have more frequent, business-managed updates to the content of the website. This allows our development team to focus on creating new features, rather than content. "Great well all around software depending on cusomizations"
Easy to use interface that makes new learning really quick and easy. Some customization such as workflows can be easily integrated depending on customization level. The customer support is awesome, and my current company also goes through a third party company that called Formtek that supports and helps us with our software. I dislike how it is so hard to find various information on the internet about Alfresco. If it is a bug that occurs more than likely it will take a lot of digging, searching around, and trial and error to resolve the issue. If considering Alfresco, I would highly recommended the community free edition first to play around with and make sure that it can do everything or is able to be customized to your liking. The company that I work for will use Alfresco as a content managing system where we can utilize workflows as far as seeing upcoming jobs that needed completed. Alfresco also gives us a great way to store various files and formats since we usually use pdfs and we often reuse the same drawings so Alfresco makes it very easy to retrieve and manage those documents. "Lots of functionality that ends up being pulled in many directions"
For the most part if you want to do CMS and are willing to let Alfresco handle everything it's a lot like integrating with SalesForce. You can easily use the tools to build the profiles and stores with access rights quickly. The CMIS specification was only partially implemented with the version of Alfresco we used, the available library was so minimal as to be useless. If you don't pay for the "pro" version getting help with actual bugs in the software was near impossible. If you want to use it as a full on CMS and pay for the support I'm sure that their suite of software is a great help. If not it ends up getting in your way more than helping. When I worked for that organization we were dealing with a lot of HIPPA docs that we needed to manage unfortunately the actual aspects of Alfresco we needed vs what we used were lopsided and ended up requiring a lot of work to code around the quirks and features we didn't need. "Good Open Source CMS Software "
It has very good document management system. It has both community and enterprise editions. It provides integration with Liferay portal. Sometimes document preview won't show up properly. Sometimes we were unable to upload documents due to some browser compatibility. Getting help for Community edition is difficult. You can choose Alfresco If you are looking for open source CMS tool. Remember to choose enterprise edition if you want good support. We are using this software to store and manage company documents. "Alfresco - Enterprise Content Management Software"
Alfresco is open source based on Java is a best thing about it. Alfresco is still maturing in its base API stability. It has bugs in it and I hope its catching-up with every new software release. Its integration with Eclipse IDE and other freemarker technologies that it uses internally should be improved. Activity workflow integration with Eclipse IDE or Spring STS has lot of scope for improvement that can cut down developement efforts time-lines. Definitely less expensive than other market enterprise software like "Documentum". Recognizable learning curve if the developers are new to it. Initial environments(Serrvers/IDE etc) setups is painful, once setup its ready to rock-n-roll. Migrating legacy enterprise content to Alfresco. Alfresco smooths the enterprise life-cycle of the content management easier and manageable. I used Alfresco while working for an IT consulting company. Our cluster was responsible for commercial account and we used Alfresco to manage documents and presentation. As a Business Intelligence intern I was responsible for gathering research documents and analysis and seeding it via Alfresco. The system is very user-friendly. At the time it was not able to integrate with other software such as ERPs or CRMs. Not sure if this is still the case. It was a simple web-based software that allowed us to compile all documents relevant to prospect clients, competitor monitoring and market information into one location and anyone was able to download necessary documents as needed. The folders were organized by categories and there was an easy-to-use search function. "A long-time stable content and document management system"
If you are running enterprise software or running a website catering to several millions of users daily, then Alfresco is a capable and flexible enough to handle the heavy load. It's a bit of a big learning curve for new users. Not the easiest system to perform software testing from my experiences though a barebones open-source platform was being used. If you're going big on site planning or for enterprise-level repository usage, this is the software to have. If you're just starting up, then this might be too much for you. I haven't used this since my stint at Sony Pictures, but the transition seemed to be proved well in handling their multiple variety of SQL databases that was used. "Great business tool, easy to use"
I like the ease of use with Alfresco. I was an Alfresco administrator in the IT department where I work. Getting people provisioned for use with Alfresco is quick and easy from the IT side. One of the things that I was not too crazy about was moving data around. On rare occasion we had experienced issues with the unc paths and some strange connectivity issues that in fairness may not have even been related to Alfresco. This is a great tool that has been around for a while. It is definitely worth the time to look into it and investigate further. I do a lot of document consolidation and general record keeping so this tool has been awesome. "Alfresco works but could be more intuitive"
I personally like how "sites" are setup not to be just a document repository but in my case as a project dashboard. It is not intuitive, showing a new person around is a challenge. It is also buggy in some ways like with rolling log files that build up on the HD. In one instance I have to manually remove them or the server locks up. Mostly document respository. Although as mentioned about we use it for a project dashboard. Easy access and communication to needed material. Sometimes excessive notifications, but I believe this is part of the project not Alfresco. Collaborative and secure project data sharing. Good communications tool. Due to the confidential nature of the related projects, this tool has been useful sharing needed information only to the team involved. Allowing for segregation from non participants. "Forced Upon Our Development Team by Consultant"
There is really nothing that I like about Alfresco. It is clunky, xml based. Editing and changing content can be tricky. Moving content is even trickier. Not a smooth solution. No online documentation or forums on this CMS. Virtually non-existent support. Teach yourself how to deal with the rubiks cube of CMS'. I would never recommend this CMS. There are so many other options out there. Just don't. In trying to solve the problem of getting out of a push process to an automated process for content so we do not need ops nor disturb the application portion of our website and to allow the marketing users to input their own content we implemented this system. Marketing used it for a short period and now it is a redheaded stepchild that engineering has to deal with. I like the open nature of the Alfresco product. Organizations can expand the product in almost unimaginable ways. It was a great fit for for my team since Alfresco is built on the top J2EE platform. Definite high steep learning curve due to product complexity. We needed the new Content management system to be compliant with enterprise standards that allowed non-technical audience (content publishers) to update content on almost hourly basis. 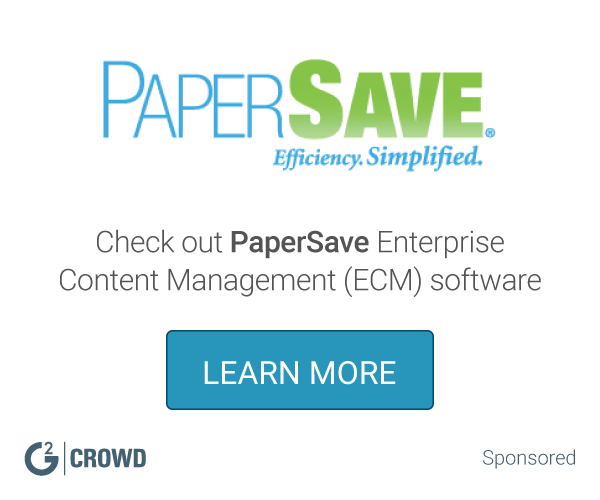 "Great, refreshing alternative to legacy document management software." Open source and open standards approach provides for a great way to get value from the platform. Very competitive with Enterprise Edition to the legacy vendors you may have worked with. The product is slow to mature, even the open source nature. The use of Open Source is merely marketing and lead generation tactic rather than a true open source development model for community driven core contributions. disparate DOCUMENT silos converge to provide at least a single, capable source. "Really good product for managing content - open source, lots of customizations"
Ability to build custom solutions/applications that work with Alfresco. Strong support in the Alfresco community. Ability to define meta data. Integration with other tools like enterprise search. I worked with Alfresco nearly 2 years ago and I would have liked it to be more business friendly out of the box. Allowing business teams to author and manage the enterprise content. "Alfresco decent tool for content management"
its platform independent, fast to integrate, SOAP service option also comes in handy. we used alfresco as a content management tool which to make updates on a webiste using the tool, this helped the business partners to realize faster time to market, and cost savings. "Great tool built on open source"
We had a custom user interface built on top of alfresco CMS. Alfresco as such is good for content management, but not used OOB interface. User access management is super easy and the best part. Mobile content management is missing. May be newer versions have it, but not the version I used since 3 years. There is not much that I liked about this product. The code is very complicated. There are no easy ways to "upgrade". You have to basically start over so any custom code you have has to be deployed after the upgrade. Any small errors take the whole system down. I worked for a very high profile broker dealer that depended largely on Alfresco for content. Please be sure to check out other options. The ability to show/version brokerage forms, rules, white papers etc. to over 5000 registered representatives in the field. "Is there a better CMS? Doubtful." The completeness of the offering. The rich versioning and the vast ecosystem. The Java APIs are quite good. The ramp up is not small, but it's not too bad and it approachable in pieces. Maybe consider Daisy, but if you are using Java, why not Alfresco? I've used it for StackOverflow-like sites. "Positive experience with the community edition"
Last year I was searching for a open source documental software for our company. One of my co-workers suggested me to try Alfresco. I downloaded the installer and I installed it on a virtual server Microsoft. Easy setup and ready to use! Now we have upload thousand of files and now for search a word in PDF document or DOC we don't use nothing else. One of the problems that I have encountered is the search field, if you try to search more terms or a document in a specific folder the result is confused and some time you can't find what you search. I think that there is a solution for this but it could be a little tricky and I do not have find it yet. If you search for a documental open source for your company I think that this product is the answer. "The open-source platform for document management"
"Reviewing the Records Management solution; built to standard; less so to business use." Alfresco boasts that their product is built to the DOD 5015.2 standard, and for the most part it is. I tested ten key records management features and for complex and critical tasks such as declaring a record, maintaining an audit log, and implementing even a complex records schedule, it did very well. Although this product delivers on all the features demanded of a records management product, it may not be intuitive for the business user. Alfresco Records Management is not integrated with other products such as Document Management and Team Collaboration. That means that the records repository will only have documents that are posted there by users. Working documents on other collaborative sites are not linked or deleted. Business area users would have to be disciplined in their work habits to prevent duplication and confusion. One feature failed on testing; the "move to" function. Check that this glitch is repaired before accepting the product. Alfresco appears robust enough to accept mass downloads of documents, but take care in mapping metadata fields so that as much as possible is auto-filled first. For detailed results from my ten days of testing, check out my blog, http://jgnatbuzz.blogspot.ca/2011_02_01_archive.html. Built on an open-source platform, this product may be suitable for educational institutions and non-profits. the tomcat setup which is a pain, but you get used to it! Just use it! Great System! It's a great product so far. I highly recommend trying it out! "The Best ECM in their category, need more product updates and less services around it"
Company is more interested on their cloud solution and business orientation than on making a better product. Learning about Alfresco Content Services? * We monitor all Alfresco Content Services reviews to prevent fraudulent reviews and keep review quality high. We do not post reviews by company employees or direct competitors. Validated reviews require the user to submit a screenshot of the product containing their user ID, in order to verify a user is an actual user of the product. Hi there! Are you looking to implement a solution like Alfresco?